Ask Angels to wrap you, your thoughts, your emotions, past experiences and each person with whom you have had a disagreement in a bubble pink or rose light. Place the bubble around your thoughts and everyone involved. Whenever a thought or emotion rises to the surface, imagine there is a bubble of rose or pink light surrounding all that you wish to heal or forgive. Repeat this simple and profoundly powerful technique as often as thoughts and emotions rise to the surface. You will begin to experience a sense of relief towards all concerned. 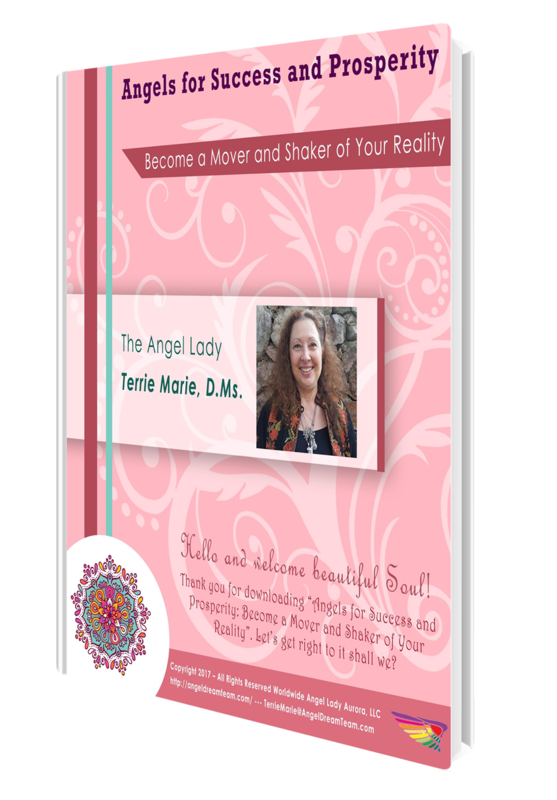 Angel Lady Terrie Marie, D.Ms., is an Internationally Acclaimed Angel Coach and Mentor who works with Executives, Entrepreneurs and Coaches connect with their Angels to raise their inner wealth frequency accelerating their 6-figure income. Express Gratitude for the many blessings in your life. Do you find yourself in circumstances that are not what want or like? Look around, how many blessings can you appreciate expressing sincere gratitude by saying “thank you” from your heart? Expressing gratitude for all you have and where you find yourself in this moment opens the doorway to receiving more of what you want and less of what you do not want. Do this for the next 21 days and see how you feel. Notice if there is a difference in your attitude, in your energy and what you are attracting in your life. Light incense in your home to cleanse the energy. Remember to open at least one window to allow the energy being cleansed a way to leave, clearing the way for positive energy. 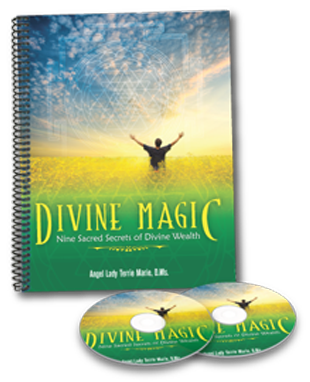 Cleansing the energy in your home also, on a more subtle level, cleanses the energy within your physical body. When you focus on what you have instead of what you don’t have or what hasn’t manifested yet, you raise your vibration. For the next 7 to 10 days, write down at least 15 to 2o things you have right now. Focus on what you want rather than what you do not want. Not sure how to do this? On a sheet of paper, make 2 columns. Here’s an easy to do this and it won’t take very much time. Above the 1st column write “what I do not want in my life” and above the 2nd column write “what I do want in my life.” Focus only what you want in your life and release everything you have written in the 1st column. Focus on what you want, giving thanks for the many blessings you already have in your life now this moment. Being in a state of appreciation and gratitude attracts to you more of what you want and less of what you do not want. What is unconditional love? It is, first and foremost loving you without condition, without judgment, without condemnation. It is accepting who you are, where you are, where you have been and where you are wanting to be, have and do in your life. Unconditional love is accepting others as wish to be accepted, as you would accept you. There are none among us who have traveled the path without experiencing bumps, scraps and perhaps even a few dings or dents around the edges. Supporting someone, a close friend, a loved one without condition in total acceptance is a treasured gift. No matter the choices, no matter the path chosen, acceptance with an open heart, without expectation or strings attached in giving your heart is the key; the secret of the golden heart space of unconditional love.